Sharing files with your friends shouldn't be as hard as signing into your favorite cloud storage service if all you care about is simplicity, seamlessness, and ephemeralness. 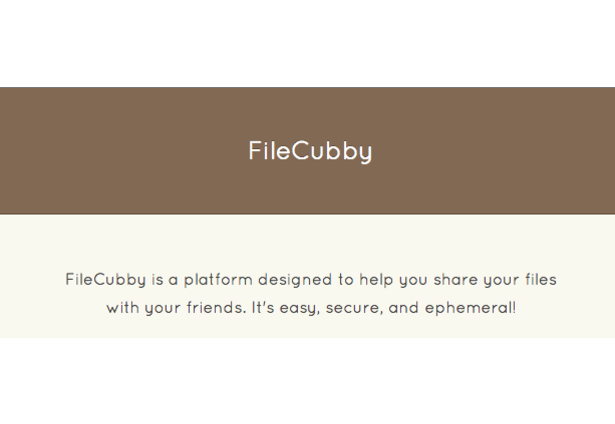 Upon uploading your file, FileCubby will return a "tag" to you. Distribute this tag to your friends. Your friends can then enter the tag and seamlessly download the file you uploaded. Files are kept on the server temporarily. Comments for this submission are closed. View the software in mantazer's portfolio to continue the conversation.